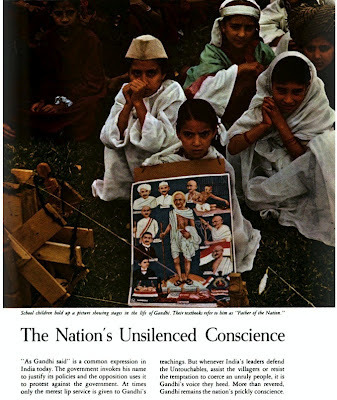 Last year, I came across an interesting photograph in a book published in 1961 called 'India, by Joe David Brown and the editors of Life' that intrigued me. It was accompanying an essay on India and relation of its people to the Gandhian thoughts. That confused me all the more. Although the book didn't offer any clues about the place where it was taken. But I saw something familiar in it. Something that made the photograph out of place. Even ironic. The quest to confirm its place of origin led me to some wonderful discoveries. 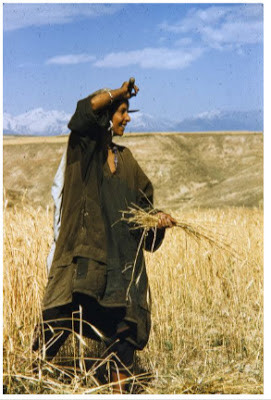 The first clue: It was taken by famous photographer Brian Brake, best known in India for 'The Monsoon Girl'. The little girl at the back in green dress with white headgear in this photographs told me that she is portraying in Kashmiri Pandit woman. That told me that there was a good chance that it was shot in Kashmir. Told me that the great photographer must have been to Kashmir. What beauty he must have captured! A quick search lead me to site Museum of New Zealand where most of Brian Brake's awesome 22 years of work is showcased. Here I found his extensive work on Kashmir done in late 1950s and early 1960s. I have been going over and over these photographs for months now. And every time I look, the beauty of them drowns me in a weird feeling that the Kashmir we see now is just like navel lint. It's just something. But, I don't want to write about. I have not time for ugliness. Too much of that abound. Instead I am going to write about beauty, about the photographs, the photographer who took them, a legendary photographer who inspired some of them and a living photography genius who was probably inspired by it. And about beautiful things that are now gone, only remaining in these photographs. 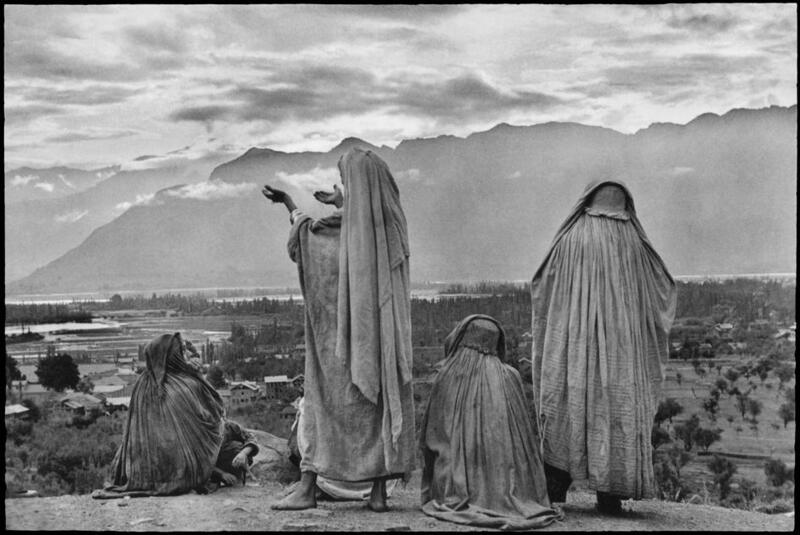 The story starts in 1957 with Henri Cartier-Bresson suggesting Kashmir as a subject to young Brian Brake. 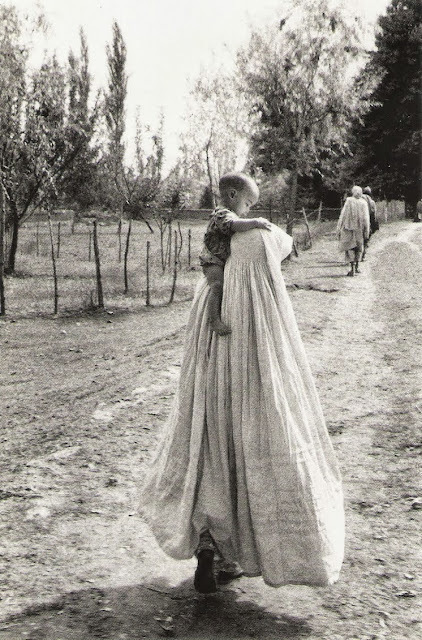 Among the photographs he shot in Kashmir we see some shot which as an obvious tribute to his mentor Bresson. Also, it is here that we see Brake try out his technique of 'Set-up' to get the perfect shot. The technique that mimics the unparalleled moment capturing abilities of Bresson by deliberately putting the subjects in a staged, controlled environment and setting the camera to get the right moment. It was this technique that much later gave us beauty of 'The Monsoon Girl' when he shot Aparna Das Gupta (later Aparna Sen) in fake rain in 1960. But there is a certain rawness to the 'set-ups' he shot in Kashmir, or possibly the viewer now gets that feeling because he can see all these photographs together, a viewer can almost see the various stages of a 'set-up'. Back then, when a single photograph was published in magazine, a viewer could only see the final best product and form an opinion about the moment and beauty of it based on that. Some people done appreciate this 'set-up' approach to photography. But in the end, I guess it doesn't actually matter much. "A photograph is only a fragment, and with the passage of time its moorings come unstuck. It drifts away into a soft abstract pastness, open to any kind of reading.” - Susan Sontag, On Photography. What is interesting is that in some photographs Brian Brake can be seen directly trying to recreate some images that were shot by Henri Cartier-Bresson a decade ago in Kashmir in 1947. 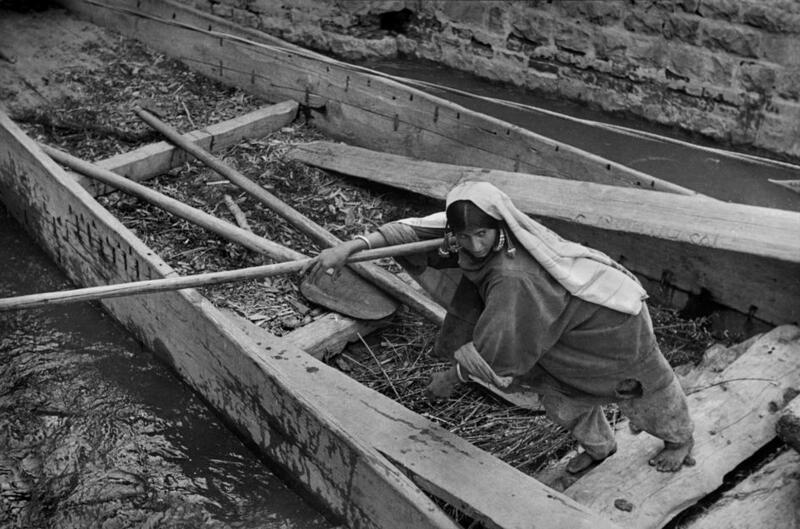 That he was able to do it tells us about the pace of life back then in Kashmir. Kashmiri boat people by Brian Brake, 1957. The two photographs could have been from the same set and by the same photographer. Even the woman in two look the same. And even the place looks the same. It is almost like he sought out the same place where Bresson had been and in this was possible helped by Bresson. 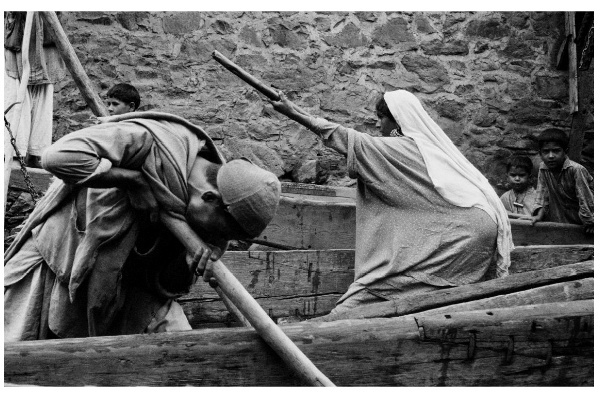 Brian Brake even tried to recreate one of the most famous shot by Bresson. Kashmiri men on a Hill, Brian Brake, 1957. B&W photographs, because of their obvious lack of more color, have this strange power of transporting their subjects to a realm where the viewer instantly knows he is probably looking into past. But that past for the viewer overtime becomes monotoned. The viewers stops thinking that the scene he is looking at was once alive, and actually had color. That it had life. That an apple back then too was red.It is colors that cast a more powerful spell over the viewer. The viewer instantly realizes that the past was once alive too and that the past and present have something in common, a shared color spectrum. The same sun. The same colors. And yet somehow, or rather due to the expertise of the photographer, those past colors look more appealing. See see colors you thought never existed. 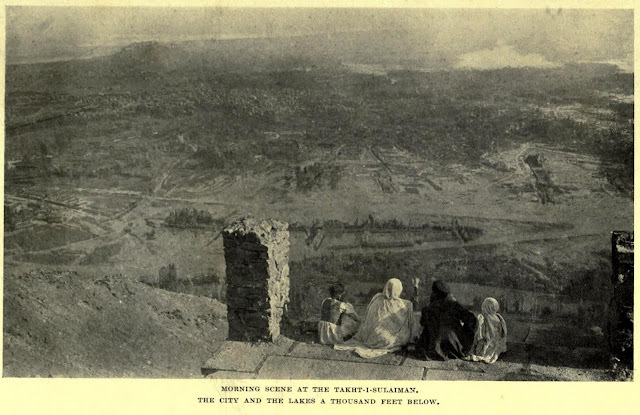 From the book 'The Charm of Kashmir' (1920) by V.C. Scott O'connor. Photographer: probably R.E. Shorter. Look at 'boatwoman' in color by Brian Brake. It's almost like both Bresson and Brake were at the same spot looking at the same woman. 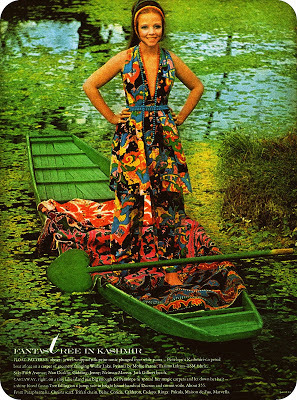 Color photography was taking off arrive in a big way back then. Quite a few people were starting to experiment with it. 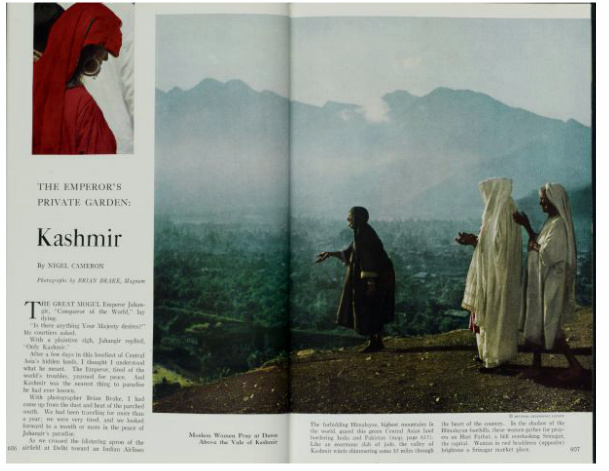 And the colors of Kashmir were proving to be one of the palette. 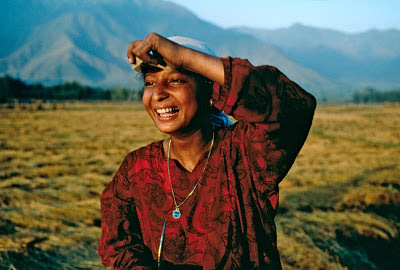 Something about its summer sun made Kashmir just perfect for color photography. The charm of Kashmir was again at work and now people could see it in all its colors. Brian Brake's work in National Geographic vol.144 no.5, November 1958. Notice that Bresson re-enactment. Brian Brake's color work in Kashmir was going to inspire another great photographer. Steve McCurry acknowledges Brake as one of the photographers who's work inspired him a lot as a kid. He was eleven when 'Monsoon Girl' was published. Much later he went on to chase that feeling. Sometimes images just provide a name or a setting of a subject. 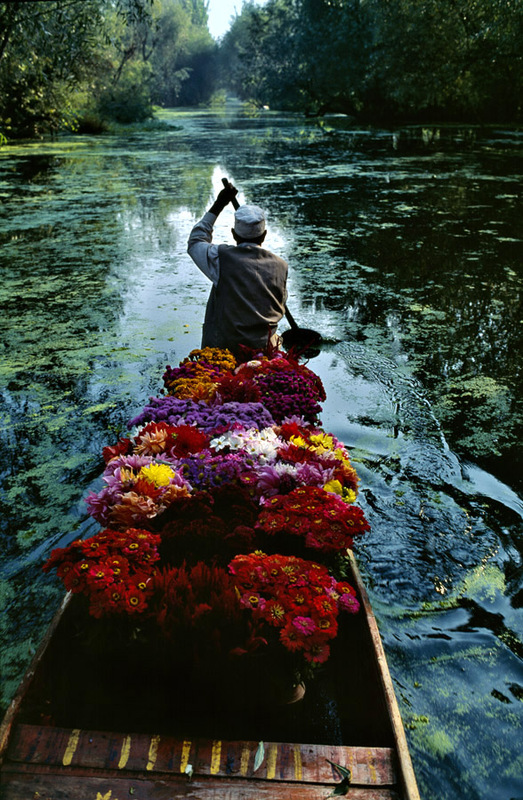 Flower seller, Srinagar, Dal Lake, 1996. 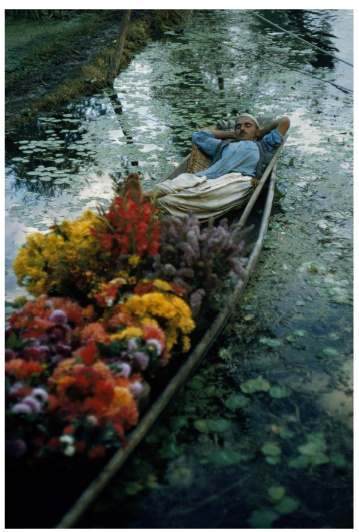 Now let's one of the earliest color images of Kashmiri flower sellers. Shot in 1957 by Brian Brake. Now look at this photograph by McCurry. And then this beauty captured by Brian Brake in 1957. And that's how images live on. And so do memories. 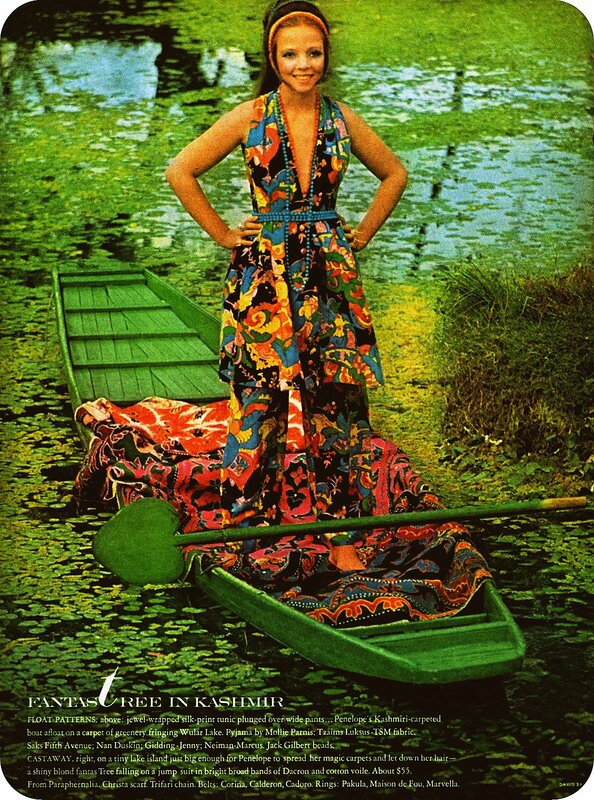 Vogue fashion shoot in 1969. Kashmir, 1955. 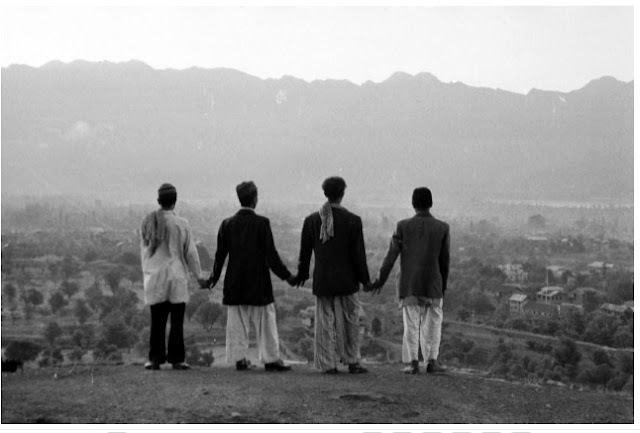 By Sam Tata, a Parsi photographer mentored by Cartier in late 1940s. 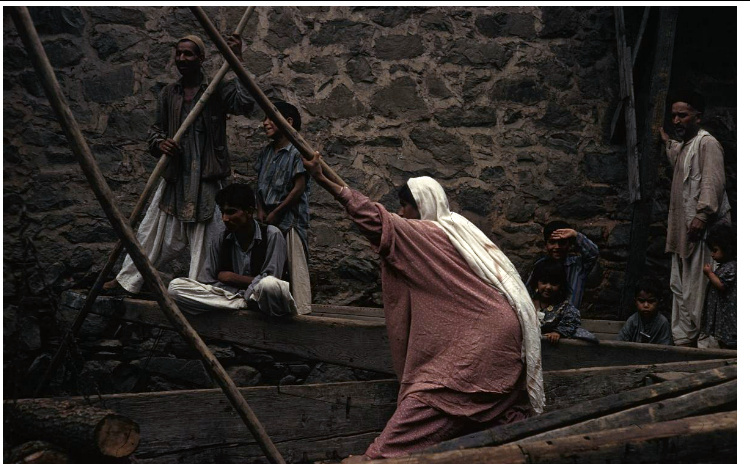 Next, I am going to post some of my favorite works of Brian Brake in Kashmir. I love this post... wonderful and mind blowing. Mere watan teri Jannat mein aaeen gy ik din !! !